I have baked one of my favourites - cat food pie. It is not cat food. 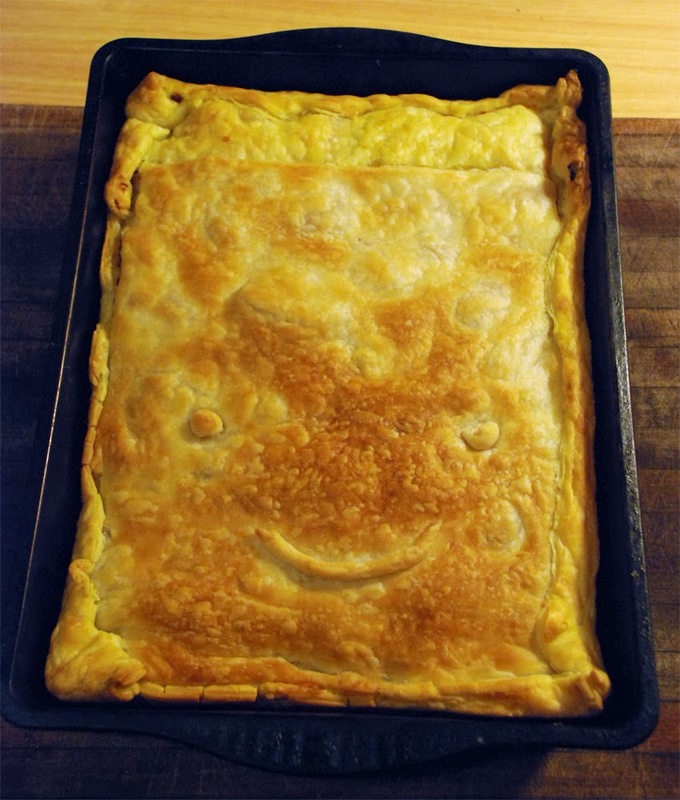 It is pie, and it has a happy face on it - as all little ones will confirm that food tastes better if it looks good or happy. Until they discover there is disgusting green vegetables hidden inside. Which the little ones say tastes like cat food. Eventually though, all this brazen cooking of healthy vegetables is only so much that a cluster of little people can take, and I can sense the stirrings of dissent and revolution in the tummy household. I am apprehensive as nations have risen and fallen on a mutual dislike of celery. The demands start pouring from the unhappy little ones. They have decided that when they grow up they are not going to eat green vegetables ever and they going to eat chocolate when ever they want. "All day long!" yells Wee Little. "And we won't do anything else they don't want to do!" What can I do? I have decided to join their revolution. Chocolate every day sounds good to me! That makes the smiling pie very happy indeed! I need to make some happy food.